Traditionally, social media was seen as a more fitting channel for business-to-community (B2C) marketing due to its informal nature. However, as more businesses establish a social presence, the difference in approaches for B2B and B2C marketers diminishes. For example, the main advantage of using social media for both types of marketing is building relationships with current and potential customers. Additionally, certain types of techniques, such as keeping a social media content calendar for planning your social media messaging, are helpful for both B2B and B2C marketers. It’s important to make sure the content itself, whether it’s on your company’s blog or on your social channels, is tailored to the right audience. Here are the best practices for using social media marketing to drive B2B sales. Social media allows B2B organizations to make the necessary connections while saving time—without cutting any corners on the way. It’s also a lot easier to reach out to potential clients across the world, in different time zones, and make that social media cold call. Plus, social media helps making and maintaining that initial connection easy on the budgets. “Social Media allows B2B organizations to reduce the costs of customer acquisition and relationship building,” Kemp explains. 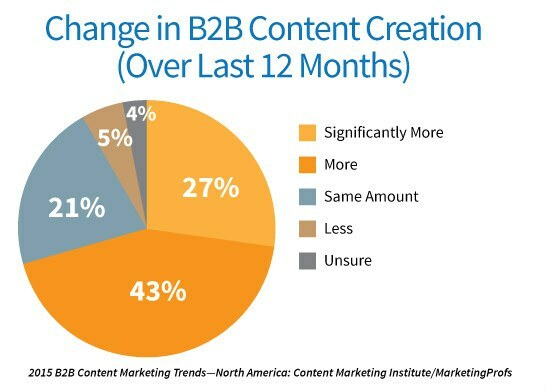 According to the most recent CMI study, 70% of surveyed B2B marketers included more content in their marketing strategy in 2014 than in the previous year. Creating interesting content, whether it comes in form of videos, photos, or writing, helps educate your audience on the inner workings of your company; showcase your products or services in a broader context; and tell your brand’s story in fun, unexpected ways. Early B2B adopters of content marketing, such as General Electric, are often lauded for their innovative campaigns. Social media dovetails nicely with content marketing, because it creates new, low-cost avenues for content promotion. Depending on your social networks’ mission statement, you can use different channels to achieve certain business goals. For example, if your goal is to share the more technical aspects of your business with fellow professionals, you can do so by joining or creating a LinkedIn group related to the topics you discuss. If the nature of your business lends itself to more visual media, you can take a page out of GE’s book: the company has an entire YouTube subchannel dedicated to work in the factory floor. Many of the topics risk coming off as dull or extremely inaccessible in written form, but peak curiosity as a video, even for audiences outside of your field. Another advantage of promoting your content on social media is the increased visibility for third-party sites, such as professional associations, industry watchdogs and news outlets. Peer-powered, third-party content shows off the business as trustworthy, which helps build your client base, so crafting content that will interest these sources is highly beneficial for B2B marketers. “Buyers trust third-party sources…so getting posts featured on news sites lends credibility to the company’s content/post,” Kemp explains. If your company is new to B2B social media marketing, don’t worry—the best students of social media are those who are attentive and present, because it’s easy to pick out social media content that works. You can see examples of this in the trending hashtags on Twitter, posts with the most pageviews and likes on LinkedIn, and Facebook posts that have been shared hundreds of times. Social media is a great source of ideas for best-performing content; you just have to be mindful of tailoring these ideas to your audience and your subject matter. Social media can help amplify news of a partnership or a one-time collaboration, highlighting both the merits of your partners, as well as the new opportunities for your clients this presents. However, you don’t always have to be actively involved in a project with your partners in order to show your appreciation on social media. You can show support on your social media channels by sharing their Facebook posts, retweeting or favoriting their Tweets, highlighting their profiles on #FollowFridays, or sharing their works published on LinkedIn. Engaging with your partners on social media helps maintain your professional association in a non-invasive, consistent manner. Social media listening is a good way to keep track of public-facing information your competitors share with their followers—especially if your target audiences overlap. Since you may be chasing the same leads, it’s important to be aware of your competition’s value proposition. Tuning in to their social media channels is a good way to determine the areas of expertise your competitors are highlighting with the content they share, and see how your company stacks up. If you’re using a social media management dashboard like Hootsuite, you can set up search streams to help you monitor your competitors’ social accounts in one place. It’s also helpful to keep an eye out for any mentions of your competitors’ brand names or official Twitter handles—you competitor’s missed opportunity to connect with a client can be your chance to gain a customer. It can also bring your attention to any recurring themes in customers’ requests, whether they’re directed at your B2B brand or others in your field. Including a URL to your organization’s official website is an essential step to a properly completed social media profile. The web address should be in a visible spot, ideally in your bio description or the About Me section. However, aside from adding extra visibility to the homepage, your brand’s social channels can help drive traffic to pages or posts that don’t get as much organic reach. For example, consider the more technical B2B content, such as whitepapers or case studies. It may not have a high SEO value or an eye-catching headline, but there are professionals among your current and potential customers who find this type of information very valuable. Properly targeted social media posts can help this technical content reach the right audience. Another social media tool to give your brand visibility among the buyers is paid social messaging. In addition to building relationships and promoting content, B2B companies can benefit from using social media in impression-based strategies, meaning being seen by potential buyers. While social media presence across all your channels should display value to your customers, an effective way to be visible to the right people is setting aside a budget for promoting social media posts. Learning to write effective Promoted Tweets and target LinkedIn Ads to be visible for people in the right departments will get your potential clients more familiar with the brand before you reach out with a hard sell. The 2015 B2B content marketing survey by Content Marketing Institute found that B2B marketers invest the majority of their paid advertising budget into search engine marketing, which they also deemed to be most effective. With Google’s most recent algorithm update, social shares now have a big influence on your page rank. This means promoting content on social media helps increase your page’s search engine rankings, especially if the information you provide is deemed valuable and worthy of sharing by your followers. The more your followers engage with your content—by clicking, sharing and linking to it on social media—the more valuable it will appear in Google’s ranks. Thus, your company will gain more visibility at a significantly lower cost than someone who invests all their marketing efforts into paid advertising. While video has been traditionally thought of as a medium best suited for consumer marketing, recent numbers show that it’s also quite effective in B2B strategy. 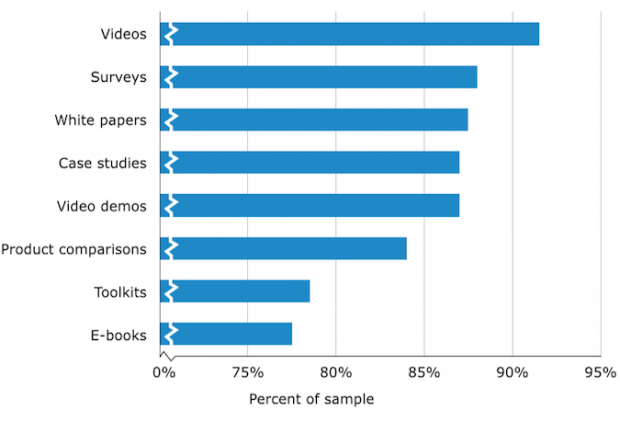 According to a benchmark report released by Software Advice, a company that provides reviews on marketing software, video is the most-used content type and the content that generated the most leads for surveyed B2B marketers in 2014. With more social media platforms developing video functions, such as the improved auto-playing Facebook videos and the looping Instagram video posts, working with this medium no longer requires a big budget. What you need instead is a big idea—something that will help your video go viral, and attract more visibility for your brand. The video’s new role as a lead generation tool among B2B marketers shows that the best results are produced when a creative concept is combined with strategic marketing techniques, such as “gating” the content. You can find more insights on incorporating social video into your marketing strategy in this blog post. 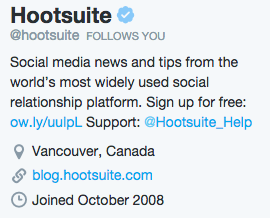 Save time on your B2B social media marketing efforts with Hootsuite. Try it for free.